Idea Book Templates Vol. 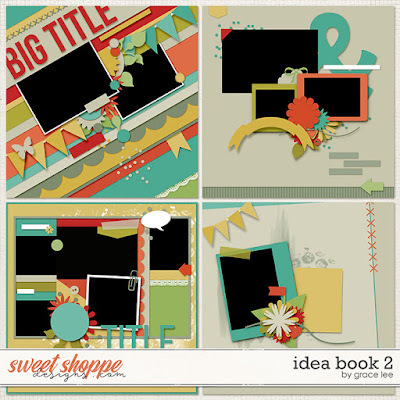 2 is a series of digital scrapbook templates converted from my own layouts. They feature some of my favorite things in digital scrapbooking: big photo spots, plenty of paint, precise element placement, and most of all a fun "wow" factor! Now you're able to re-create these pages easily and quickly with these templates.